We seem to be – unwittingly – following the UNESCO trail. Either that or there’s a glut of World Heritage Sites out there waiting to be stumbled across. Today, Leroy and I are in southern Italy in the region of Puglia. If Italy is boot-shaped, Puglia is the heel. Our sole aim is to relax and eat gelato after a few hectic days in the Balkans. 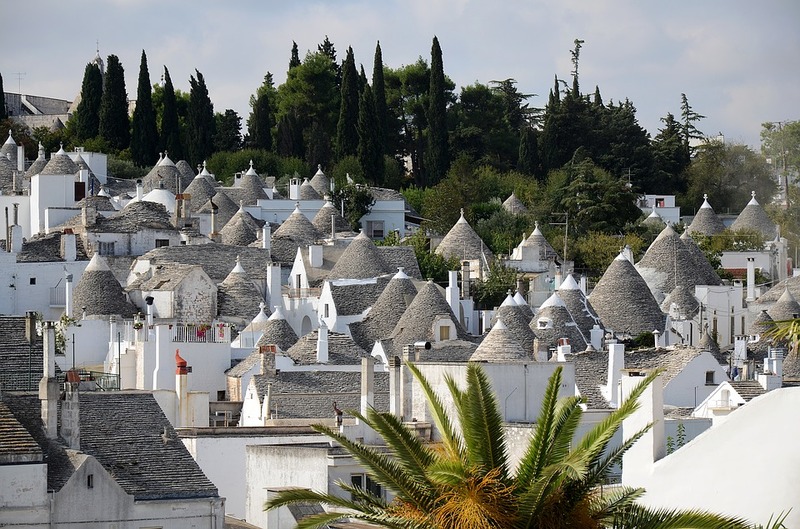 Alberobello (‘beautiful tree’) is listed for its trulli, the 1500 beehive-shaped, whitewashed houses that make up a large portion of the town. Some of the trulli have esoteric symbols painted on their conical roofs, which look fantastic. The town itself is a little touristy (I’m glad we’re not here in peak season) but we’d been given a hot tip to explore the less commercial area of Rione Aia Piccola, where families still live in the trullo houses and it’s not all souvenir shops. A wander and a sour cherry gelato later, and we were ready to move on to Lecce, the ‘Florence of the South’ with its ‘exuberant’ 16th and 17th century architecture. Knowing that the streets empty and shops close for most of the afternoon, we decided we’d have a long, languid breakfast-lunch at a trattoria in the Piazza Sant’Oronzo and then go exploring while everyone else snoozed. We were sitting at our table, enjoying the sun and waiting for our meals, when we realised that just over the wall were the partially excavated ruins of the Roman amphitheatre. A man at the next table, probably overhearing us, introduced himself. Mauro had been born in Lecce but his family emigrated to Canada after the war. He was just back for a visit, he said. 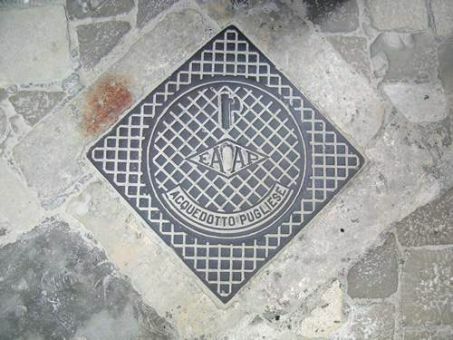 We chatted for a bit and he mentioned, in a low voice, the fascist symbol (bundled sheaves of wheat with an axe protruding) that is stamped on the manhole covers around the city. 1933 was a big year for civic improvements it seems. Layers and layers of history. Our delicious lunch was capped off by a specialty of Lecce: espresso with ice and almond milk. I was starting to feel that a siesta would be a great idea, but Leroy was adamant that we should explore for a bit. I decided a visit to the Museo della Cartapesta (papier-mâché museum) might be a suitable revenge, but it was actually pretty interesting. Not a balloon or claggy newspaper in sight. Before it gets dark, we’re also going to squeeze in a quick swim in one of the sea pools near Salento. It’s meant to be amazing.